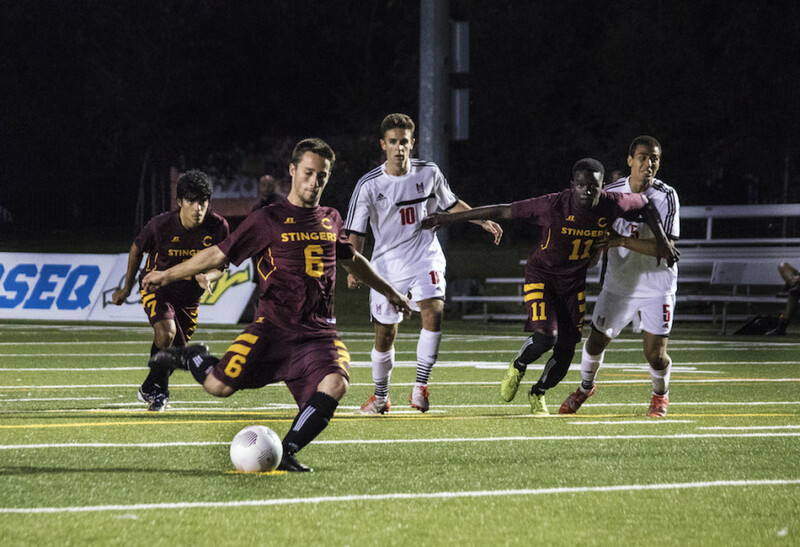 Thanks to two goals from freshman Eli Barutciski, the Stingers men’s soccer team defeated bitter rivals, the McGill Redmen 4-0 this past Friday night at Concordia Stadium. It is the first victory for the Stingers in the RSEQ conference since Oct. 27, 2013. In training camp, Stingers manager Greg Sutton stressed the importance of having a higher scoring offense. He may have found what he was looking for. “We did everything right,” Sutton said when asked about the goal explosion. “The whole team worked so hard for this in training camp. It feels unreal. Every night we were going to bed thinking about this W.” said rookie Eli Barutciski, who scored two goals in the win. After a tense opening of play, the game sprung into life as the first half ended. In the 40th minute, midfielder Gabriel Quinn made his way down the left sideline and his cross found forward Mitchell O’Brien inside the penalty area. The Chelsea, QC native did not waste his opportunity, taking one touch to set himself up, and then burying a shot to the right of McGill goalkeeper Max Leblond. The crowd, out to see the men’s soccer team’s first game under the new rebranded look, cheered raucously, and they wouldn’t have to wait long to celebrate again. Just two minutes later, the Stingers, who must have seen something they liked in the build up of the first goal, pushed the ball down the left flank again. The cross was met by Barutciski in the box, and he was soon one on one with Leblond. The rookie, showing poise beyond his years, scored past the McGill goalkeeper to give his team a 2-0 lead by halftime. After the break, the game would take another turn in favour for Greg Sutton’s side. Just two minutes after the restart, fourth year midfielder Jose Prida was taken down in the penalty area by a rather clumsy tackle committed by McGill captain Alexandre De Santis. The referee pointed to the spot and then reached for a red card, and McGill, already down two goals, would play the remaining 43 minutes one man down. The penalty kick taker would be Barutciski, who made no mistake and gave Concordia a three-goal lead. Even down 3-0, McGill pressed on, but could not get one by an inspired Wes Aucoin. The second year goalkeeper, who recorded three clean sheets last year, was determined to achieve another one. 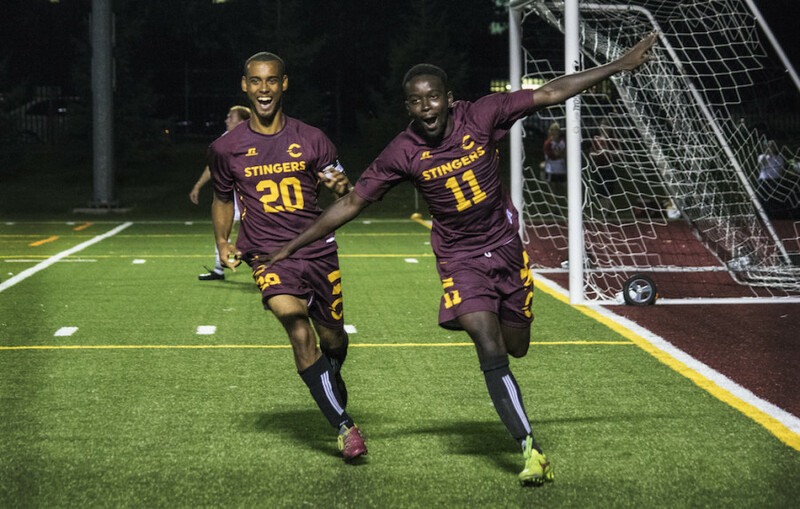 Already well on their way to victory, Concordia added one more when Amadou Lam put the cherry on top to a splendid evening for the Stingers, when he headed home an 88th goal via a corner kick. 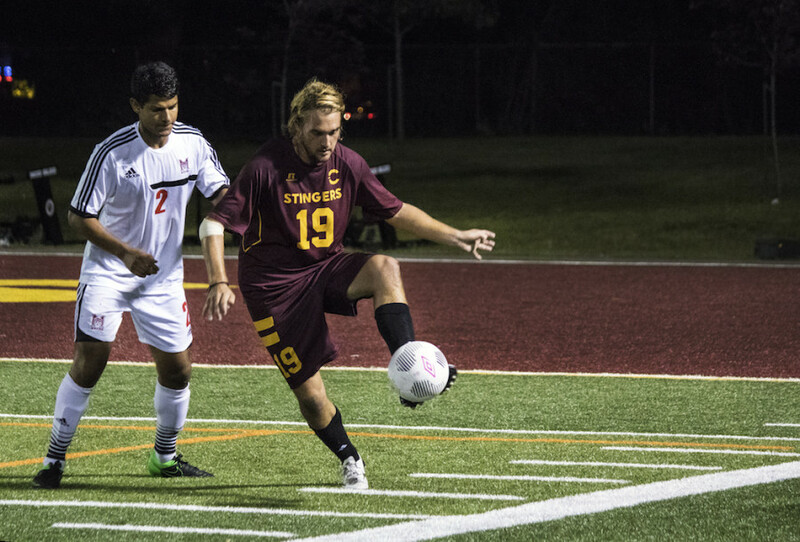 The Stingers will resume league play as early as Sunday, when they travel east to play the Université du Québec à Trois-Rivières Patriotes at 3 p.m. In an earlier version of this article, it was written that defender Julien Cantin set up the game’s first goal, when in fact it was midfielder Gabriel Quinn. The Link regrets the error.